Date of Construction 1860 AD. 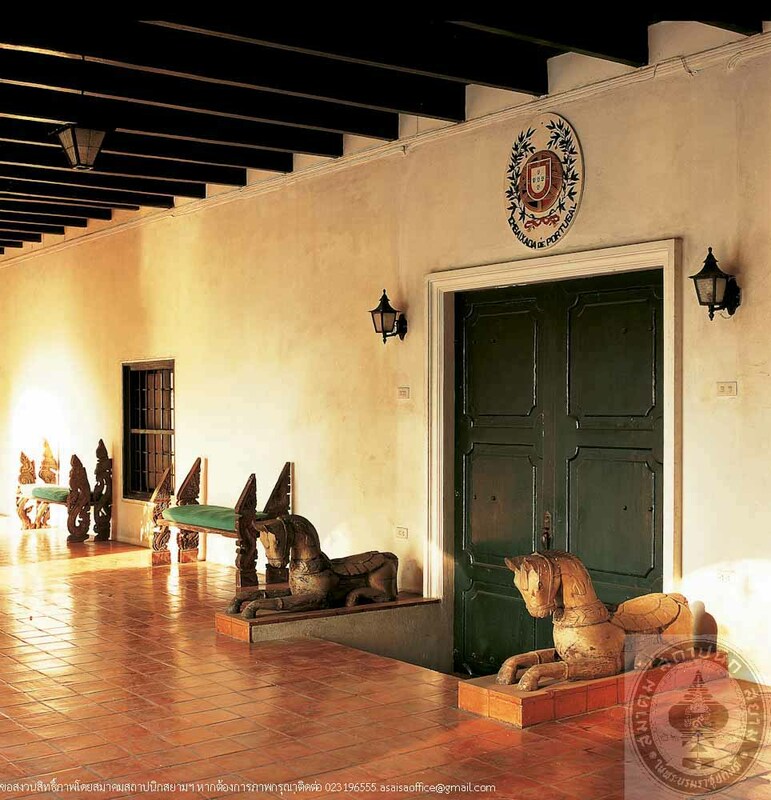 The Portuguese Embassy Residence is a 2-storey Colonial style building with hipped roof and a gabled front porch, an indication of Neo-Palladian influence. The front gable is decorated with the Emblem of Portugal. 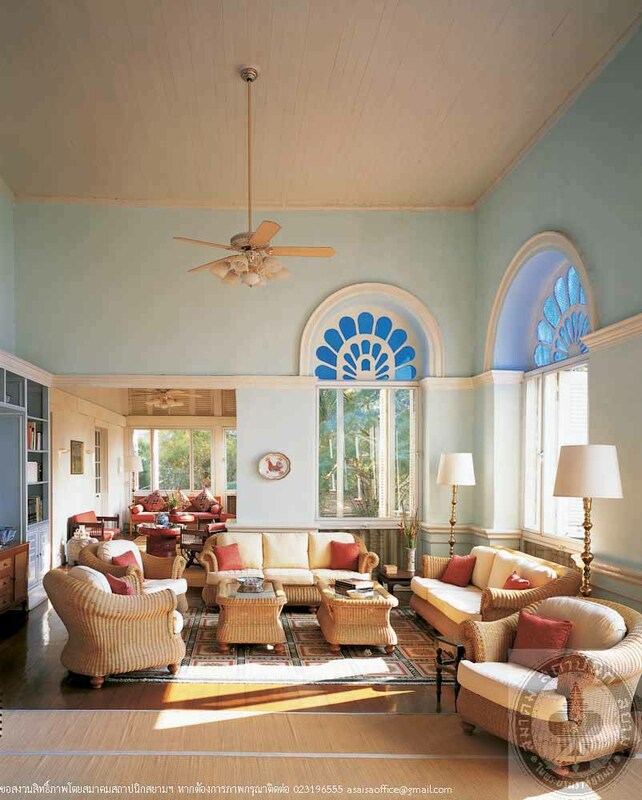 The entrance on the ground floor, as well as the window frames comprise 3 connecting roung arches alternated with pilasters. 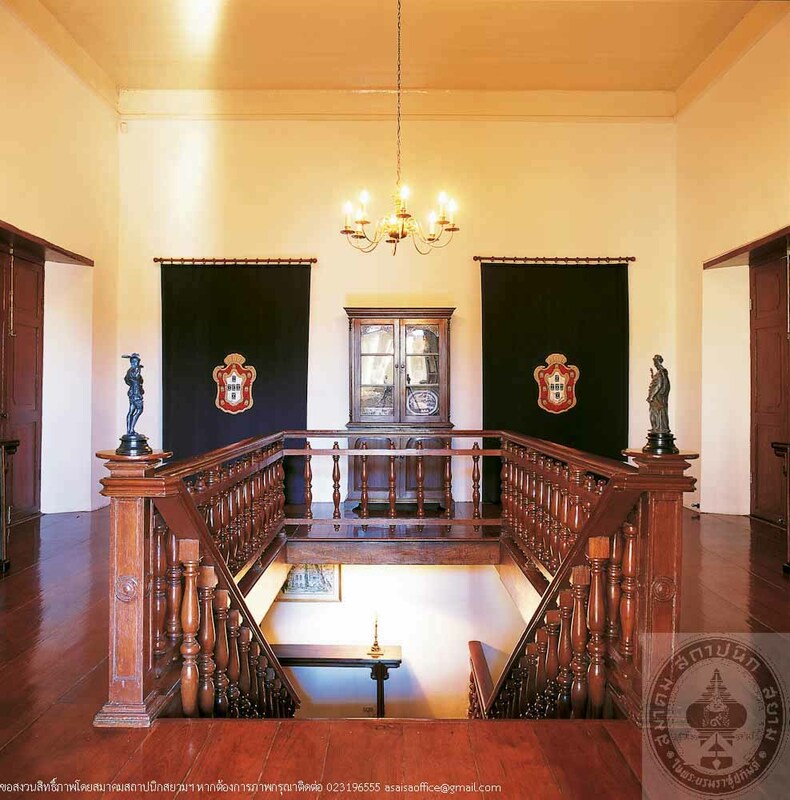 The grand hall is located on the ground floor and the upper floor is flanked with verandahs along the front and rear. The entrance is decorated with blue-and-white ceramic tiles from Portugal. Since the second defeat of Ayutthaya to Burma, the Portugal was the first Western nation to renew contact with Siam, intiated by the Portugese Regent of Goa in India who appointed Mr. Carlos Manuel de Silvyra to come to Sia, on a diplomatic mission. 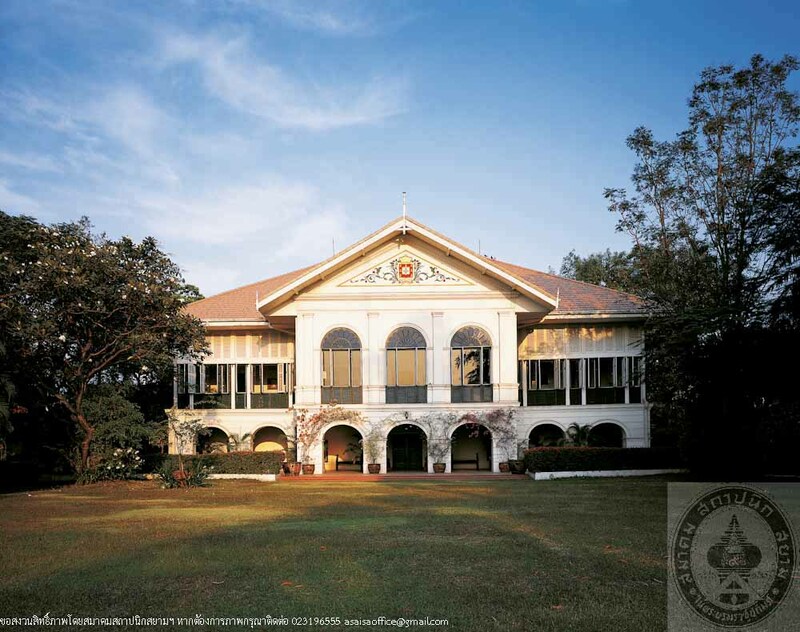 King Rama II, therefore, granted him the residence of Ong Chiang Sue, a late King of Vietnam who fled to Thailand on political reason during the reign on King Rama I. 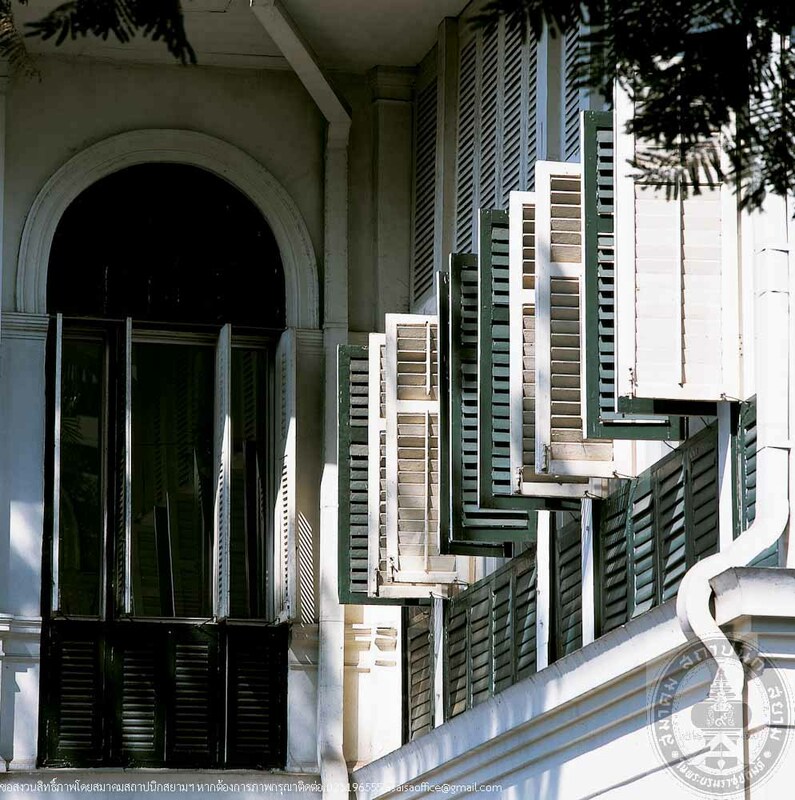 The house was used as Portuguese Consulate and is considered the oldest foreign consulate in Bangkok. Later, in the reign of King Rama IV, he had written an official later to the Queen of Portugal in order to invite Portugal to establish a permanent consulate in Thailand. 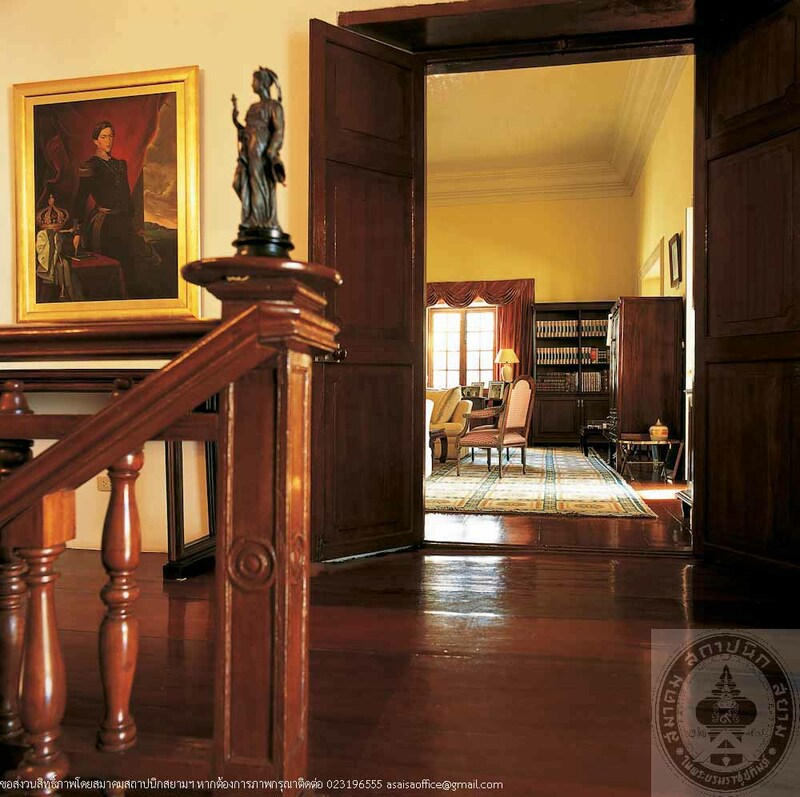 The Portuguese government thus sent a group of builders with some materials such as stones, glass, and some furniture from Goa, India and construction began in 1860, this house has been used as the Portuguese Embassy Residence until today.